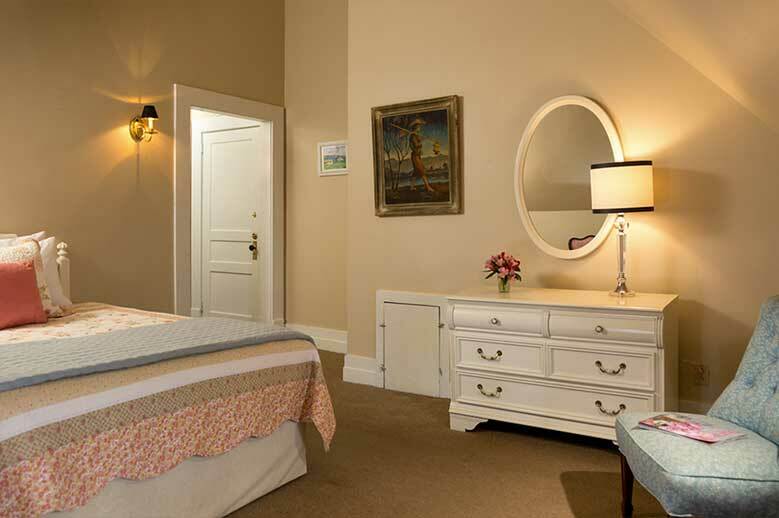 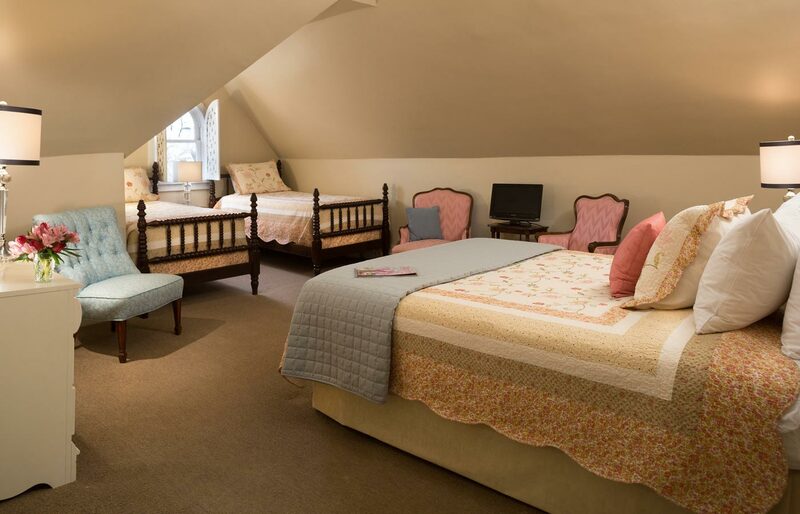 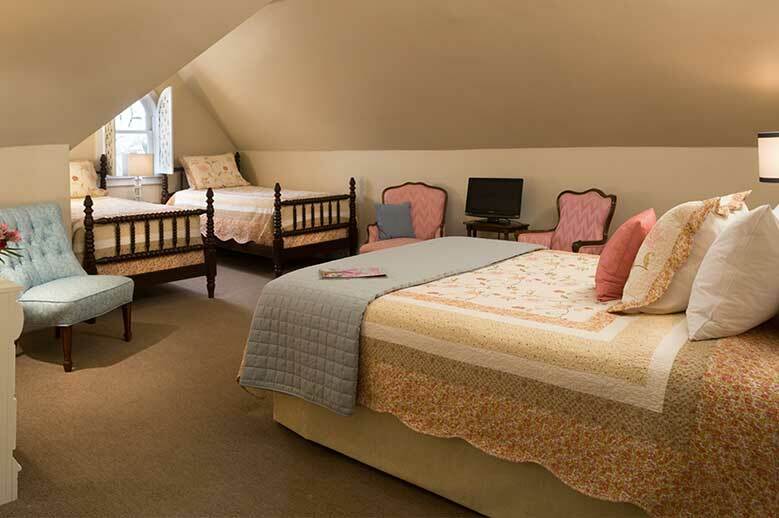 Located on the third floor of our inn, tucked under the eaves on the mansion’s north side, the family-friendly Harriet Jacob Suite boasts extra space with a private bath in a separate and adjoining wing. 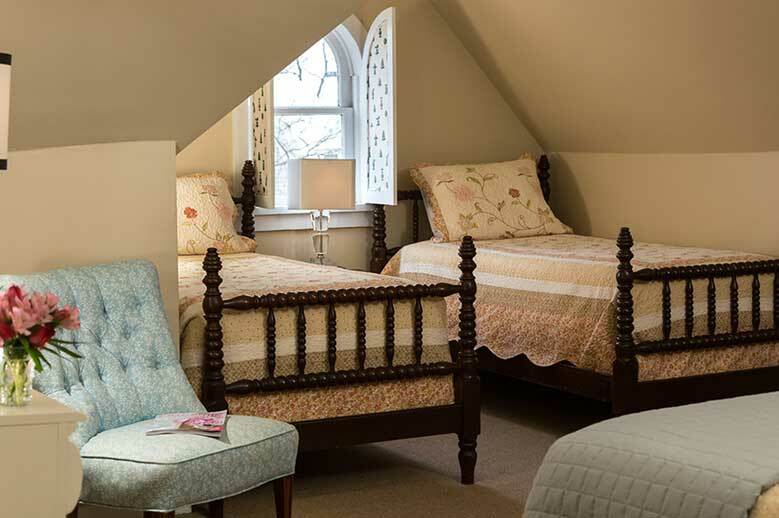 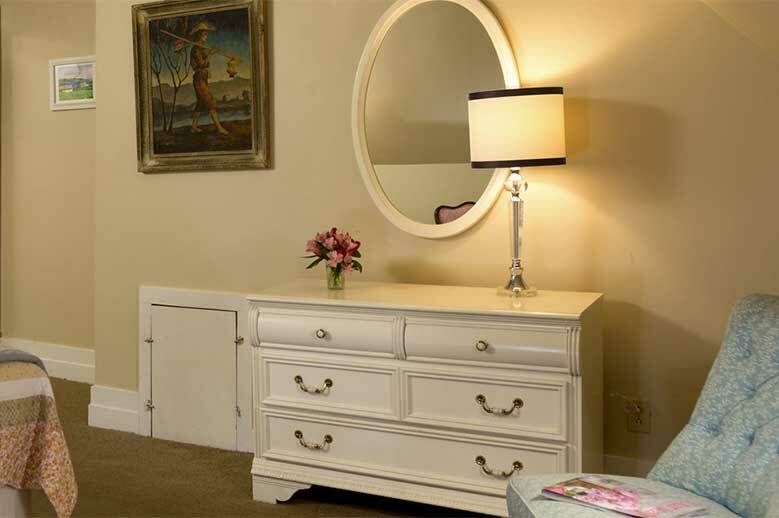 With cottage white furniture that includes dresser/mirror, night stand, side table and sitting area that faces a Palladian window flanked by two twin-sized pillow top mattresses on antique spindle beds. 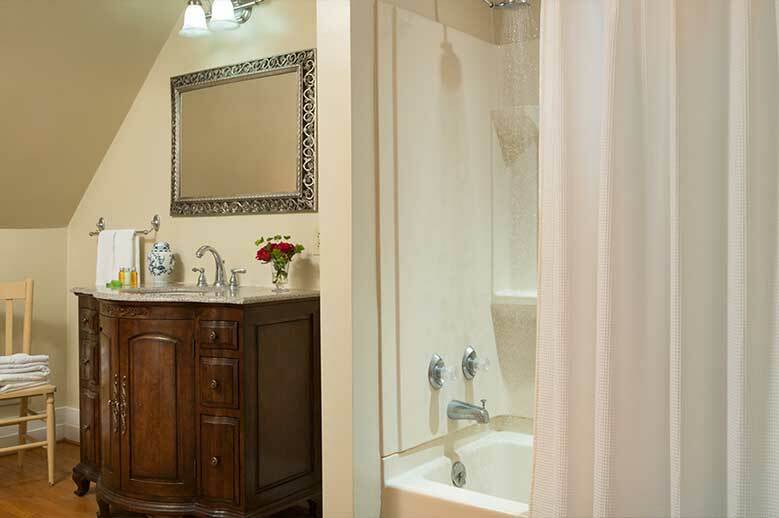 Oversized bath with tub/shower, premium towels and robes. 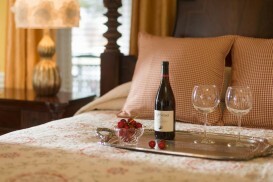 The ultimate getaway awaits in our bed and breakfast.